Today is my birthday, so I'll keep this brief (I'm going to be uncontactable today). 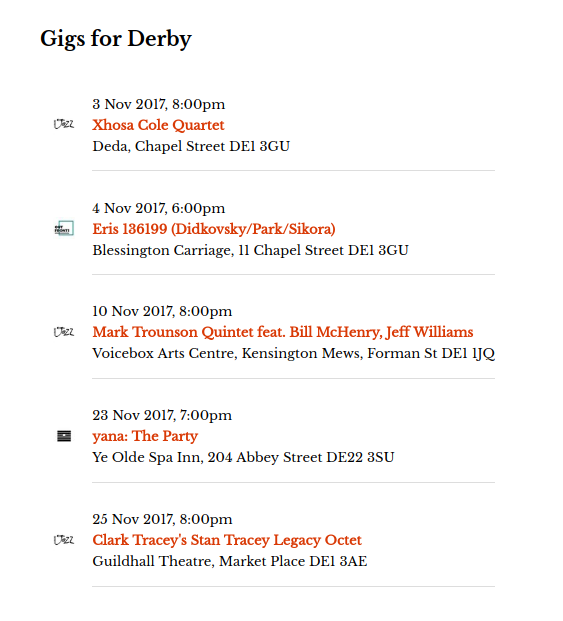 As a gift (possibly to you) I've got together with the artistic director of Derby Jazz1 and the lead administrator of Out Front2 to put on five gigs in Derby this month, with a gap in the middle. They're very varied, so if you love a diverse range of improvised music and jazz-related musics, your mind will be as blown as mine was when I looked at the programme.